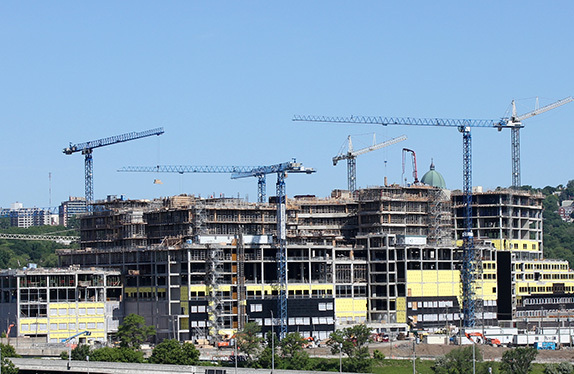 With many successful projects across Canada & the US, our high quality products can be found in many on-site construction projects and precast applications. Our dedicated team comes together to make sure every one of your projects is a success! We have worked on many diverse projects for the MUHC hospital network, including the new “Super Hospital”. Some of our rebar support products found here are the 1” CV LokNgo Slab Bolster, Tower Chairs and Bloks. 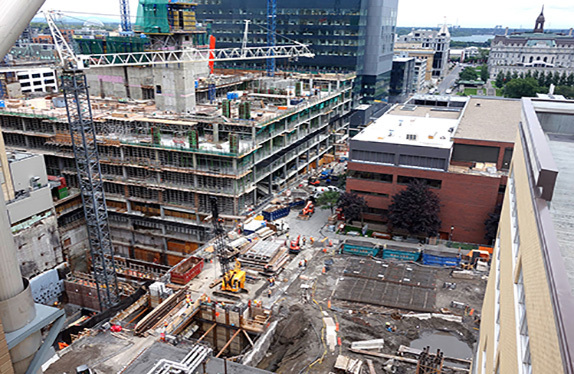 Our service always goes above and beyond for our clients, and the MUHC construction project has relied on the quality & reliability of CV Plastics throughout the build. 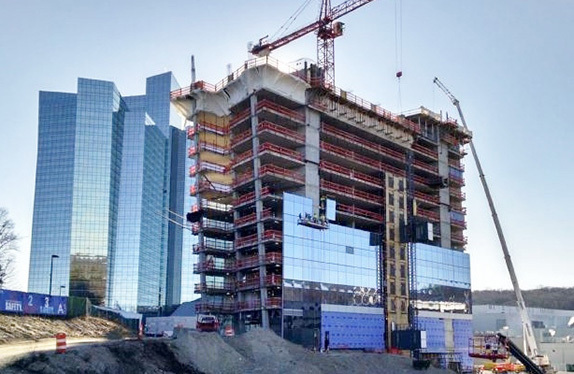 CV Plastics was chosen to be part of the latest construction project of the The Mohegan Sun resort in Uncasville, CT. The Earth Tower Hotel, slated to open fall 2016, will feature 400 deluxe guest rooms, meeting rooms, indoor pool and fitness center. We supplied several rebar support products to this project such as CV LokNgo Slab Bolsters and Tower Chairs 7 ½”. CV Plastics has extensive experience helping our clients select the right rebar supports for their projects. We know rebar spacers and what works in heavy applications or large areas. This was true for the UofM Health Research Center. Products used in this project were: 1” CV LokNgo Slab Bolster, Tower X Chairs, Bloks, and Maxi Clips. Tell us your unique needs and we will guide you in selecting the best rebar supports for your project. 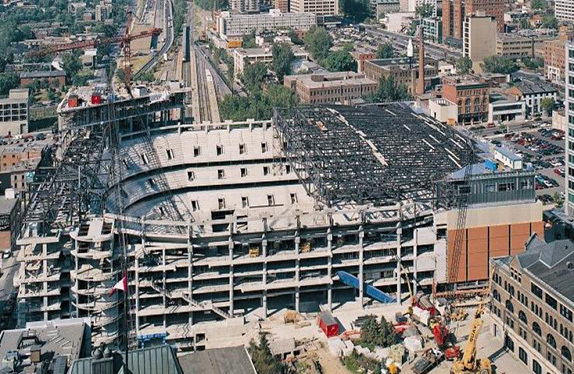 CV Plastics is proud to have supplied many rebar accessories for the opening of the Bell Centre in 1993. Some of the rebar supports used for this large project were Plaz Chairs, Solo Chairs, and Tower Chairs. Since then we have engineered many new & unique rebar accessories that make us truly experts in our field. Let us know the particular requirements of your project and we will find you the right rebar support solution.